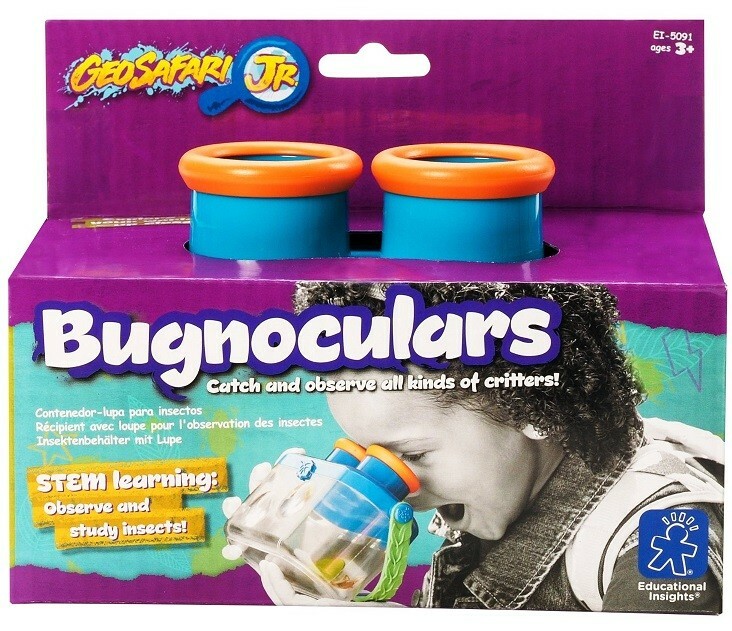 Encourage a lifelong love of science with these Bugnoculars from Educational Insights! 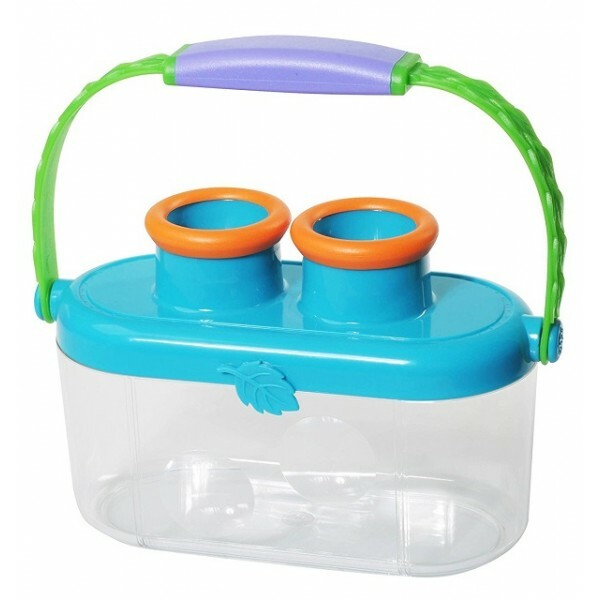 With soft, rubber grip handles, 3x magnification on the top and 2x magnification on the sides, and a snap-lock lid with air holes, this bug collection container is the perfect way to observe and examine all kinds of creepy crawly critters, while keeping them safe until release. Bugnoculars are even water-tight, so kids can examine fish, tadpoles, and other underwater life. 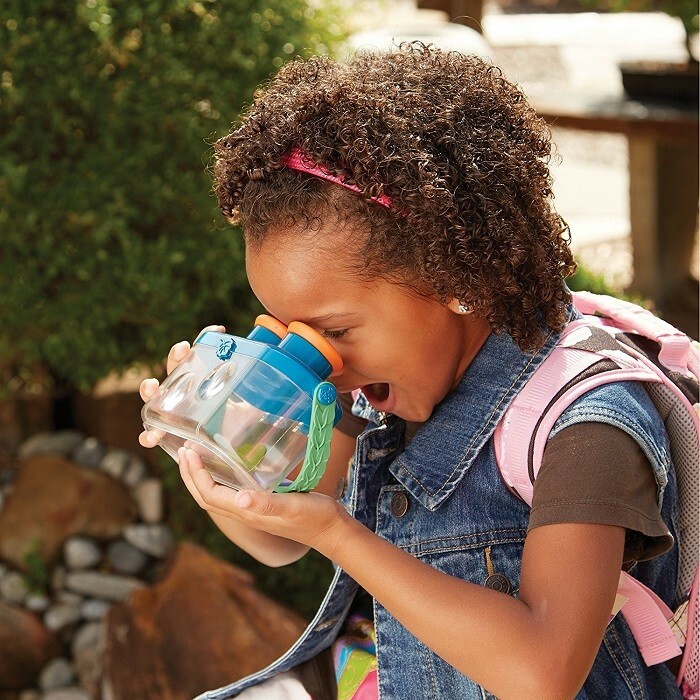 For more products to encourage playtime in the great outdoors, visit our Outdoor Play Collection.